1 of 6 Jewish nationalists arrested confesses to Jerusalem revenge killing of Arab teen. The killers of this Arab teens will be brought to justice. ‘This was a shocking and unacceptable act which any sane person, certainly in a strong and democratic country such as the State of Israel, must strongly condemn,’ says Public Security Minister. 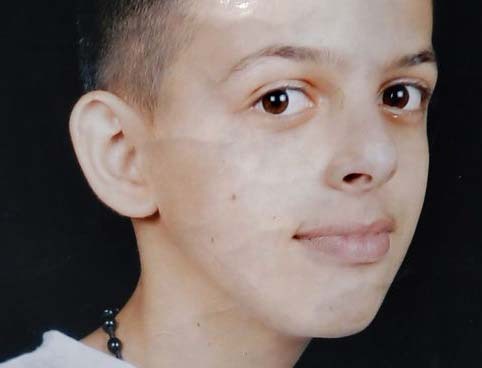 Four days after the alleged revenge killing of Palestinian teen Muhammad Abu Khdeir convulsed the nation, one of the six unidentified Jewish extremists arrested early Sunday morning in the brutal murder confessed to the crime. According to numerous sources, the unidentified suspects made the confession during questioning by Shin Bet security agents. While details of the arrests and investigation remain largely unknown due to a court-sanctioned gag order, hours after their arrests a Petah Tikva court ruled that five of the suspects be held for an additional eight days. The state of Israel will arrest any Jew who harm or kill and Arab. The Jewish state is a state founded on democratic principles, where two million Arabs live with full Israeli citizenship. They are protected of the same laws, as other Israelis. All Israeli Arabs shall feel safe inside their own country. I hope and pray they acknowledge that the state of Israel is the only nation in the Middle East, where Arabs experience freedom. I also hope and pray they feel blessed by living inside the only nation in the World. where the Jews are in majority. Let there be peace and prosperity for all who support this unique statehood. May the God of Israel be blessed for what He has done since 1948. May Jesus the Messiah save all men who repent for their sins. Me all people experience the blessings that comes from heaven. Amen. For years , Israel has been revealed to not be a Democratic nation. Any nation that allows its enemies to take part in its political activities the way Israel allows Arabs who oppose its very existence, has to be the most democratic of all nations. Or perhaps the most crazy! Israel is now caught between the devil and the deep blue sea. It is surrounded by all the new friends of Barack Husein Obama, and incircled by 50.000 rockets. The only reson why all those rockets have not been launched, is Israel nuclear deterrent. if the Arab friends of Obama release all their fire powers, the cities of Amman, Cairo, Damascus, Beirut, Riyad, Tehran and propably Ankara too, will cease to exist in the next 45 minutes. Around 100 million people will perish in an instant because of the gross international betrayal of six million Jews.